According to popular opinion, Walt Disney put a clause in his will requiring that the Walt Disney company shall remake classic movies every ten years. 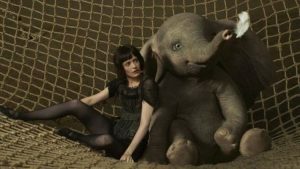 Thus, we were beyond excited when the trailer for Tim Burton’s ‘Dumbo’ was released — promising a splendid remake of the 1941 classic animation. 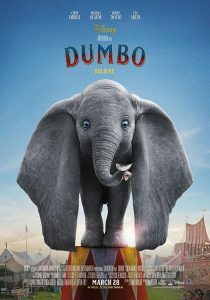 Dumbo stars included the likes of Colin Farrell, Eva Green, Michael Keaton, and Danny DeVito. Meanwhile, the story has been tweaked from its original version to a certain extent by adding more depth and dimension to the lives of its human characters involved. However, the star of the show was definitely the CGI elephant, Dumbo. And of course, Dumbo stole the audience’s heart with his adorable acts of wanting to reunite with his mother. The story of Dumbo at heart is a tale about the parent-child bond and the possibility of the impossible. Without giving the entire scheme away, it would suffice to say that Dumbo’s mother ‘accidentally’ does something that has her branded as ‘mad’. As a result she is taken away from her newborn calf, Dumbo. Dumbo is a sweet baby elephant with absurdly big ears, who can fly. To put it simply, we failed to utterly with this classic remake despite wanting to, very much! For us, the movie borderlines between excellent and utter fail. Burton’s direction (for the most part) is beautifully done and executed with finesse. It appears rich in emotion. 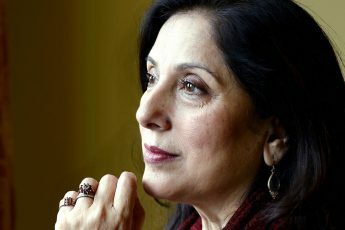 However, the actors, it seems, failed to play their part despite being seasoned in the ways of the cinema. Which is probably one of the main reasons we struggled to love the film overall. Nonetheless, our final verdict is that Dumbo is by no means a downer. Provided you allow yourself to get carried away into a sweet fantasy of a baby elephant that can fly. It honors the simple appeal of a Disney classic, while finding new emotional resonance in the narrative from Dumbo’s aspects.